VOLUMEBLOOM Shampoo is rated 2.0 out of 5 by 46. 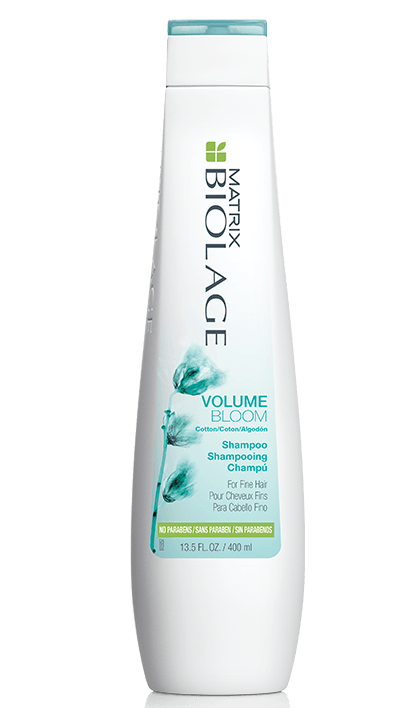 Share https://www.matrix.com/biolage/core/volumebloom/volumebloom-shampoo VolumeBloom Shampoo for Fine Hairhttps://www.matrix.com/~/media/matrix us media library/2017march/2017newbiolage/bi-core-pdp_volumebloom.png Gently cleanses and adds lightweight volume and shine. Rated 1 out of 5 by Cally from Hair glue? I purchased a bottle of Biolage volumebloom volumizer spray and tried to use it but it wouldn’t spray. So I took out the spray nozzle, cleaned what appeared to be glue out of it and tried to spray it and it was still clogged. So I looked in the bottle and there appeared to be a bunch of crud at the bottom. I took a skewer and tried to fish it out but it was stuck to the bottom. I cut the bottom off of the bottle and this is what I found. This can’t be good for your hair. Rated 1 out of 5 by dknighto from Can I give it zero stars? I have been using Amplify for about 10 years and when I went to get some more recently, I found out that they have changed the formula and rebranded it. I really tried to like it but it just isn't the same. I have tried it three times now and it makes my hair feel sticky. The conditioner smells and looks like the old Biolage that I used to use but I have such a terrible time getting it out of the bottle. I have had several shampoo and conditioners change their formulas recently and I am running out of dependable products. I will probably use the rest of what I bought, only because it was so expensive but I am not happy about it. I guess it's back to buying and trying because I will not be buying this product again. BTW, what was wrong with the old formula? Rated 1 out of 5 by Dee W from Bring Back the Original Formula!!! 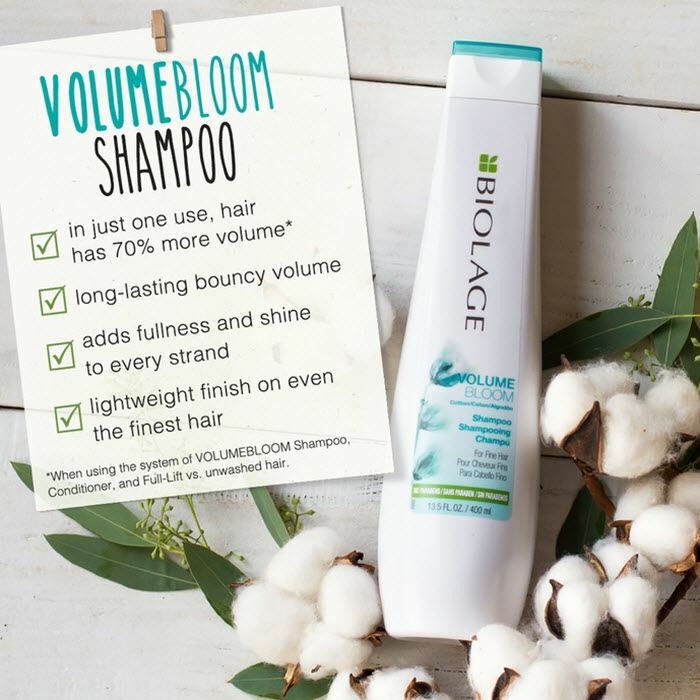 I have been using Biolage VolumeBloom for 20+ years, since my hair dresser recommended it for me. My supply (I kept extra) ran out in February, and I purchased a new big 33 oz. bottle. I have been baffled about why my hair is now a mess after washing with the new bottle of shampoo. 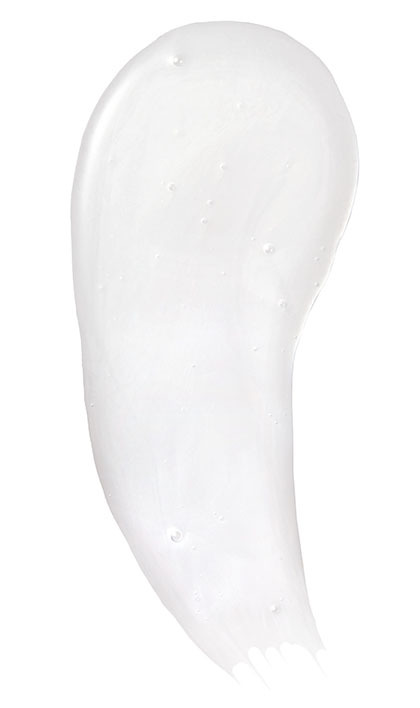 Every time I use it, my hair becomes Flat, Oily, and Won't Hold Any Curl. And Where Is The Fragrance? This new stuff barely has any, so my hair smells like whatever I cooked for dinner the previous day. The smells of the previous day don't come out the next morning when I wash my hair & I use plenty of shampoo!!! >I am SO Disappointed & Frustrated with your product - a product I used to rave about, which made my hair gorgeous. *If you don't bring back the original formula - You've Lost Me As A Customer. I'm forced to try other brands of shampoos now - I take pride in how my hair looks. Rated 1 out of 5 by Ritt from Made my scalp smell really bad I bought and used an entire 1L bottle of this shampoo. Made my hair oily very quick (I have normal hair texture, on the dry side) and the most terrible part is that it made my scalp smell so so bad!!! Never again will I re-purchase this shampoo! Rated 5 out of 5 by whitewolf361 from Works great for me! This shampoo works great for me, and smells really nice. My hair feels more voluminous, and when I end up using something else, I can tell the difference in how much thinner it feels without this shampoo. A bit pricey, but worth it, for me. Rated 1 out of 5 by bring_back_old_formula from Bad - dries hair out. Bring back old formula I used the old Normalizing formula for years and loved it. Read that the new Clean Reset dries hair out and decided to try VolumeBloom. After 3 washes, hair became dry and brittle which never happened with the old Normalizing shampoo. Please bring ScalpTherapie Normalizing Shampoo back. I returned VolumeBloom and bought the ColorLast today to try. Unfortunately, I then read that the new ColorLast formula dries hair like VolumeBloom too. It will likely be returned it too if it dries hair out like VolumeBloom. Why do you change the old formula and try to say it is the same as new one or that the new one is better when people's experience indicates otherwise?